Although the word “chassid” is generally translated to mean exceedingly pious or devout, conjuring up visions of fasting, prayer, and religious zeal, its origin is in the concept of “chesed,” giving freely of oneself for the benefit of others. It is a quality practiced by Hashem, as described in many verses, and which we are encouraged to emulate as part of the obligation to follow in Hashem’s ways. “Serve the Almighty with joy, come before Him with singing” (Psalms 100:2). The verse is recited daily in the morning prayers. But we have to internalize its message. Repeat this verse as often as possible, while thinking about what it means and how you can apply it. This is especially important for a person with a tendency towards sadness. A sad person mentally repeats hundreds of sad messages a day. Repeating a verse with a positive, joyous message will serve as a good counter-balance. I sometimes envy devout Jewish people. At least in my studying Torah and the Jewish writings, their lives of devotion to God through the prayers and the mitzvot seem so ordered and unambiguous. 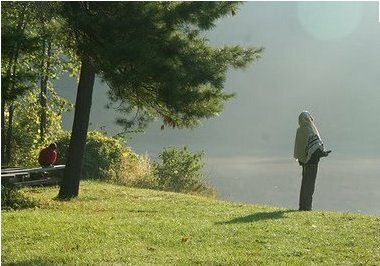 Although living according to the requirements of Orthodox or Conservative Judaism has great complexity, it seems as if a Jewish person’s path is predictable and comprehensible with no gray areas within which they struggle. Of course, that’s an illusion and I have no doubt that observant Jews struggle with their faith as much as anyone, even me. Still, there is such purpose in studying Torah, not for the sake of studying or acquiring knowledge, but to learn what God expects of us and then to do it. However, that understanding isn’t limited to the Jewish people. All of us who are considered disciples of the Master, whether we’re called “Christians” or “Messianic Gentiles” have a duty to God and arguably to the Jewish people. We study the Bible, not just to learn the Word of God, but to put that Word into action in the world around us and in our everyday lives. The verse goes on with the Master instructing his Pharisaic audience to perform the weightier matters without neglecting the others (tithing mint, dill, and cumin), but then, he was speaking to Jewish Pharisees, not Gentile disciples. Still, it’s a lesson that applies to us. Messianic Gentiles and Hebrew Roots Christians revel in their/our Torah knowledge but what do we do with it? If “knowing” is the full extent of our studies, then we know nothing. Only in doing, and I don’t mean tying tzitzit, are we fulfilling the mission to which God has assigned us. But what is that mission? I sometimes say there’s more than a bit of overlap in the mitzvot that apply to both Jewish and Gentile disciples of the Master and I would say that doing justice, loving kindness, and walking humbly before God definitely qualifies as part of that overlap. I was reminded of this during my visit with my parents this week. My Dad had cancer treatments (thanks, he’s doing much better) in Salt Lake City just before Christmas (it’s not a dirty word) but because his vision was compromised by the treatments and my Mom’s vision is not so good, my folks asked me to fly down to SLC and drive them back home to their place about five or six hours away. Of course I did and I’m staying with them for a week to make sure they’re doing OK. So I’m away from home and my regular routine and doing what I can to be of service to my parents, both of whom are still quite independent minded though in their early eighties. Putting the needs and desires of others ahead of our own is what God wants above all else. Though my “observance” is rather minimal these days, I still maintain a particular level of dietary and other practices that aren’t exactly compatible with how my parents live. But whose needs am I here to meet though, mine or theirs? The commandment in Torah directed toward the Israelites and coupled with their living long in the Land of Promise is interpreted by Paul to be applied to the Gentiles as a condition of having long lives, or so it seems from the dual quotes above. If given a choice between honoring my parents and the rote lighting of candles or what “work” one does on Shabbos, I’ll accept doing love and kindness to my folks as the higher commandment; the weightier matter of the Law. I don’t believe God will condemn me for honoring them. But that leads to the larger mission for Messianic Gentiles which has a very particular focus. Although I can’t find the exact quote, a Messianic Jew mentioned in a Facebook discussion (in a closed group, so I can’t pass on the link) that one of the roles of the Messianic Gentile is to serve in supporting Messianic Jews in greater observance of Torah. The Christian Church in well-meaning but mistaken efforts, has believed that the only way to “save the Jews” was to have them convert to (Goyishe) Christianity, effectively destroying the Jewish people as Jews, decoupling them from the covenants, and assimilating them into the Gentile world as “Hebrew Christians”. 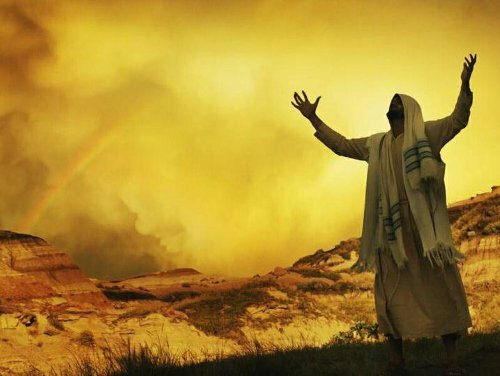 Messianic Gentiles, in my opinion, are specifically assigned by God with the duty to serve the Jewish people in maintaining and increasing their level of observance to the mitzvot. Gentiles acting like Jews does nothing. Gentiles encouraging and supporting Jews in greater covenant fidelity does much and may even hasten the return of Moshiach. The Church, in attempting to separate Jews from the covenants, has been destroying Christian salvation, because only through the promises God made to Israel can God’s redemptive plan for Israel, as mediated by Messiah, be extended to the nations of the Earth. I’ve quoted the words of Alec Goldberg before and I guess you can say this current “meditation” is an extension of the previous one, because it addresses somewhat the definition of Messianic Judaism and particularly the role of the Gentile within such a Jewish framework. I learned a new interpretation of these verses from a wise Sunday School teacher in church about two years ago. I used to think this was a description of our general duty as believers to attend to the needy in general, but he pointed out that he understands this scripture to describe the duty of Christians to the needy among Israel. Do you see how all this is playing out? Our duty speaks of subduing our personal needs for the greater good of, in this case, Jewish Israel and specifically Messianic Jews. If Messianic Gentiles have any role in the Messianic Jewish synagogue, it is to facilitate and encourage Torah observance of the Jewish disciples of the Master. This means setting our own wants, needs, and desires to one side and doing the “Torah” that is applied to we non-Jewish disciples. I’ve known this for some time, but was reminded of it again in my visit with my aging parents. We do kindness out of love and we learn love from Torah (Bible) study. The Torah teaches us to honor our fathers and mothers, but I also believe Messiah teaches we Gentiles to honor Israel for only through her comes salvation for the world (John 4:22). No one comes to the Father except through the Son and only Messiah Yeshua is the keystone of our faith. If we wish to serve our Master, we must continually set aside ourselves and serve the least of his brothers, the Jewish people. This is who we are as Gentile disciples and this is why we study Torah. So we can do. For more on the duty of Gentiles to the Jewish people and the relationship this is supposed to forge, please read Rabbi Dr. Stuart Dauermann’s article Everlasting Love: The Continuing Election of The Jewish People. Previous PostMessianic Judaism for the Rest of UsNext PostWhy Do the Jews Hate Jesus? ACTS 15:1-4 when looking at its greek construct, shows in the plain sense that, there were some mis-guided Jews telling gentiles (males) they needed to be circumcised περιτμηθῆτε [which is the word used in the english ESV for verse one of this passage, but the english translators called it circumcised again in verse 3 of this passage but verse 3 shows a totally different greek word which is ἐπιστροφὴν which is used to talk about conversion or teshuvah [i.e: returning to the G-d of Israel]… This conversion/teshuvah for gentiles usually required a nip tuck (i.e: Cutting the flesh off male genitalia) to complete the conversion/teshuvah process for the newbie to Judaism, And according to those mis-guided Jews it was needed in order to have a connection with G-d (or better yet a connection with the Covenant He made with the Jewish people, which would equate to being saved)…. The whole telling gentiles not to “Keep the Law” in the manner jews do in 15:24 of Acts is τηρεῖν τὸν νόμον which is an idiomatic phrase telling the gentiles that why would they guard/observe [i.e: observe meaning making sure it’s done in accordance to what the Torah prescribes and any other customs associated) the Torah, when they [the gentiles] were not given the instructions in how to observe/operationalize them [the Torah Commandments]…… Again the Jewish people were told to teach the nations the oracles of G-d i.e. : Judaism, not Gentiles….. The religion of Christianity has stolen away what was given to the Jewish people, due to the arrogance and self-righteousness of its sect. In addition I’m not sure if Mr.Boaz has examined the entire greek [NOT ESV] of the construct he mentioned. Or even if the blog writer takes time to investigates scriptures in there original variants to make sure what’s being said has validity and contextuality. I do agree with the blog writers statement of Torah learning for love of G-d and love of Israel. Which should be any gentiles motives, in that order. I would love for you to explain to me how the fourfold decree in Acts 15 which prohibited “pollutions of idols” including the various cultic practices (drinking of blood from strangled animals, temple prostitution, all very common at that time as Philo and others attest)–how this prohibition of idolatry translates as an “exemption” from keeping the Torah of Moses. Anyway, still praying for your father. 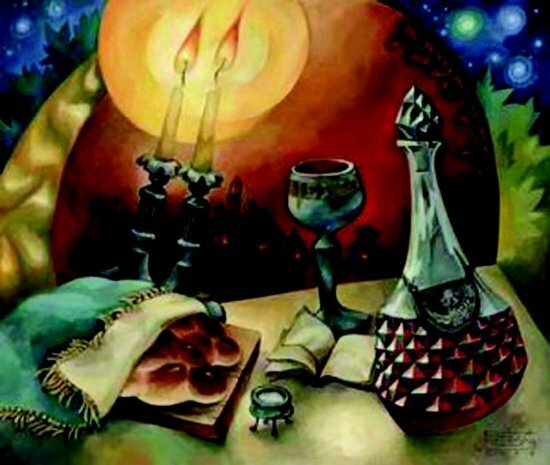 May G-d bless your entire family with renewal of spirit and body. @Peter — I hope you realize how unjust you were to misrepresent James in the manner you did. The same “James the Just” (more accurately “Yakov haTzadik”) not only laid out principles that would aid gentiles in not polluting themselves with idols, but said more specifically (in Acts 15:28-29): “For it seemed good to the Holy Spirit and to us [the Jerusalem Council of Emissaries] to lay upon you [gentiles] no greater burden than these essentials: that you abstain from things sacrificed to idols and from blood and from things strangled and from fornication; if you keep yourselves free from such things, you will do well. Farewell.” What part of “no greater burden” is unclear to you? The gentiles to whom this instruction was sent were not required to take on conversion or its full Torah obligation (viz. : Rav Shaul’s interpretation in Gal.5:3), as had been suggested by some, as reported in Acts 15:1. This is the “exemption” referenced by James our blogger. Now, given that gentiles have no legal obligation other than “these essentials” (note only four), the open question is to what degree they may benefit from voluntary conformity with additional principles derived from Torah, apart from the specific covenantal practices by which Jews must obey Torah. In order to obtain a sufficient understanding of both the essentials and any additional principles, we see the implicit expectation inherent in Acts 15:21 wherein the Council members noted that Torah learning is available every Shabbat in local synagogues, hence gentiles would have opportunities to learn these things. They might even obtain “extra credit” of the type cited in Is.56. No doubt one could spend years substantiating this-it puts my brain in a knot-but (for what it’s worth) I agree. I wish I could understand why Scripture isn’t simpler-especially the philology-and why the mechanics of Faith are so necessary when it is by Faith (“…not by works” and apart from those works) that we are saved. I “get” the concept of Faith without works being dead…so I can hang with folks who elevate James, tradition, and procedure without getting clobbered! Ha! In 2007, we went to visit our daughter who was studying abroad in Italy, and while there we visited some cousins I’d never met but had corresponded with. In my letters, I asked Luigi how to say in Italian, “I don’t eat pork or shellfish. I keep kosher. Does this dish have pork?” etc. The first night at their house they had calimari and pancetta. When I reminded Luigi, he said he’d forgotten, and bless her, Rita made a whole other batch of whatever it was that had the pancetta in it. The next night we went to his sister’s, and she made bread with bacon in it. When I found out what it was, I removed it from my plate and put it on Liz’s (our non-kosher-keeping daughter). Even typing this is making me squirm – because I was so ungracious! Here these people had worked so hard to make beautiful dinners for their American cugini. As far as I know, they are not believers, and I made Biblical observance look distasteful. I should have recalled 1 Cor. 10:27: If one of the unbelievers invites you to dinner and you are disposed to go, eat whatever is set before you without raising any question on the ground of conscience. I should have remembered how, just a few months earlier in 2006, my mother decided to come visit us for Christmas, which by then was a VERY low key affair in our home; no tree, nothing special except gifts and foods that have been traditional in my husband’s family for decades, no Nativity. (I was deep in paganoia at the time.) But Mom was expecting the whole megilla. I asked a dear woman on staff with FFOZ what to do … and she said, “Have Christmas for your mother. Honor her in that way.” So glad I did. Although in later years I went to visit her in early December or for New Years, I never did have another Christmas day with her (in fact, in our whole 39 years of marriage we only had 3 Christmases with my parents, even when I did observe the season), and Mom died this past October. This year, I have displayed the snowman collection she started for me … and the Mr. and Mrs. Claus dolls she made 30+ years ago. They were her most labor-intensive craft work (with the possible exception of my wedding dress), and I never wanted them — until now. Am I going to start putting up a tree? No. Nor will I celebrate it as the birth of Yeshua. But do I celebrate the love of family, the warmth of connection, the wonder of finding people half a world away who love me because of my genes? You bet. @BG: Yes, my understanding is that many Jews were not opposed to Gentiles benefiting from the blessings of the New Covenant. They just didn’t see any mechanism to accomplish this except for Gentiles to undergo the proselyte rite and convert to Judaism. Paul understood there was another way, but he needed a formal legal ruling from James and the Jerusalem Council of Apostles and Elders for his view to be universally binding on the Gentiles in the movement. In Acts 15, we see testimony being offered, the Council deliberating, and James issuing the formal legal ruling citing Biblical proof text. Thus Gentiles were not and are not required to convert to Judaism in order to benefit from the New Covenant blessings so we are obligated only to a subset of the Torah mitzvot. @Peter: My full six-part commentary on Acts 15 can be found starting at part one of Return to Jerusalem. I’ll take it for granted that we’re going to disagree on this matter as we do on so much else, but you’ll at least know my rationale. Thank you for your prayers for my Dad. He’s doing much better. Back to his old, feisty self. I’ll stay with them for a few more days and leave for home Wednesday morning. @Leo: Scripture probably was easier to understand for the original audiences since they could more easily comprehend the linguistic, ethnic, cultural, and other references involved. We’re separated from the text by thousands of years of history, have little understanding of the underlying knowledge the original audience possessed, and otherwise are at the mercy of generations of translators, all of whom interpreted the text during translation. Portions of the ESV translation do unspeakable violence to the text, deliberately mistranslating the text so it will fit modern Christian theological tradition. This is why I choose to study the Bible from a Messianic Jewish perspective. The Reformation was a terrible failure. It didn’t change as much as most Protestants think. If Luther really wanted to seek truth and justice, he would have totally dismantled all Christian traditions completely and returned to examining the Bible from a Judaic perspective. His horrible antisemitic rants near the end of his life is proof that he had no intention of “reforming” beyond a certain point, and he was never going to grant that the centrality of national Israel was at the heart of God’s redemptive plan for the Jews and for the world. I asked a dear woman on staff with FFOZ what to do … and she said, “Have Christmas for your mother. Honor her in that way.” So glad I did. That’s pretty much how I’ve approached this trip to St. George, Michele. My parents have been gracious but they sometimes forget about my dietary preferences. I’m sure some trief has accidentally been made part of a meal or two disguised in tomato sauce and pasta, but I’m not going to quibble. As I said above, it is better to honor my parents than to say I’m “keeping Torah” by always demanding that they bend to accommodate me. I’m here to bend and accommodate them (to the degree that they’ll let me, since they are both very independent and stubborn). On the other hand, because of Dad’s cancer treatments being timed right before Christmas, they didn’t put up a tree or decorations this year, so it’s hardly a holiday affair by appearances here. They did go to church yesterday for a wedding, but not for services today. I don’t think forfeiting your convictions and beliefs for the sake of serving others is the right thing to do. For example your parents, I don’t think you have to abandon your beliefs to honor your parents, you should seek a more balanced approach, in my opinion. I don’t mean any offense when I say this, but I understand you do this with your wife as well, based on what you have written before, it seems like you forsake your beliefs in order to honor hers, that creates a very draining relationship, you should both be able to respect each others beliefs. As for the gentile approach, and your definition of who we are in Messiah, I have to disagree. While I agree our ultimate goal should be servant hood, we should not forsake our convictions. You may not be convicted to keep the Torah, or I should say, you may be convicted to only keep what you have picked and chose, however we are not all of the same conviction. Also, those who assume that there is “One Law for the Jew and the Gentile” inhibit or even fail the Gentile mission to the Jews by usurping Jewish covenant uniqueness (I’ve said this many times before in numerous ways, so I’m sure this message is familiar to my regular readers). I disagree, in fact I have helped two secular Jews start keeping Shabbat, because of my observant lifestyle as a gentile (I don’t say this to brag, only to show an example), otherwise they would have never asked and I would have never known they were Jewish. I only see this as more of your narrow minded opinion and it is fine that you believe that, but it won’t change what God is doing, he is much bigger than our limited theological doctrines can understand. Instead of trying to create division, seek some form of unity, such as the weightier matters of the law. Gentiles are being convicted to observe the Torah, you may not be convicted and that is fine, but claiming we are stealing Jewish identity or any other type of “supersessionist” slander only makes you look bad, and creates distance among brothers. I don’t consider myself as forfeiting my convictions so much as loosing them so as not to be a burden on my folks. My Dad just finished a round of radiation therapy and my Mom, at 82, shouldn’t have to jump through hoops for me when the reason I’m here is to help them. If God wants to condemn me for that, it certainly is His privilege. As I previously mentioned to Peter, it’s pretty much a given that we’re going to disagree on the specific role of the Gentile in Messianic Jewish community. As far as Gentiles “keeping Torah,” as I’ve said time and again, even many church-going Christians observe many of the mitzvot, they just don’t call it observing the Torah commandments. They do call it being good Christians. Visiting the sick, feeding the hungry, comforting the mourning are all “Torah”. So what if I believe that a few of the mitzvot such as donning a tallit and laying tefillin are exclusively applied to Jews? Even keeping Shabbos isn’t forbidden of Gentiles in my opinion. It’s just not incumbent upon us as it is the Jewish people. If I had to make a choice as to who should become more Torah observant, me or my Jewish wife, I’d pick my wife every time. According to midrash, she is the one who is to consider herself as having personally stood at the foot of Mt Sinai and received the Torah, not me. James, I think you followed the best course of action in choosing to serve G-d through your service to your Parents, rather than to serve G-d through Covenant Laws that are not required of you, but that you usually choose to obey. When Paul was speaking about weak reeds and limp wicks, and not offending the weaker brethren by obeying laws that are not required of you, he was suggesting exactly what you did by not pushing your personal convictions onto your parents when they don’t follow your ways of faith, and thus making them feel in the wrong. Most of all, Paul said we were not to judge anyone in regard to fellowship matters. (Paul quoting Isaiah 42:1-4 in Romans 14:2 (CJB) One person has the trust that will allow him to eat anything, while another whose trust is weak eats only vegetables. 1 Corinthians 8:9 (CJB) However watch out that your mastery of the situation does not become a stumbling block to the weak. 12 and so, when you sin against the brothers by wounding their conscience when it is weak, you are sinning against the Messiah! Years ago my Christian friend said she was reaching for bacon at the store and suddenly felt God telling her not to get it. This happened a few times. She thought it was strange and asked me what I thought since she isn’t Jewish and knew non-Jews aren’t commanded against eating certain foods as Jews are. I told her that as a believer, my general practice is to go with His conviction (whatever that may be) and I’ve received it regarding many things including business practice etc., so I told her to honor it even while she didn’t fully comprehend why. However, she didn’t have a haughty attitude, didn’t act like she was now Jewish, didn’t try to “out Jew” the Jews, or trash-talk her gentile Christian brethren because they do eat traif. Instead she humbly and sweetly fessed up to a reality God had created for her via the conviction of the holy Spirit. And because of it, a non-kosher atheist Jewish family prepared a dinner with traditional dietary restrictions for a non-Jew who loved the God of Israel, which led to much discussion, study, interaction on God, and who knows what else in the hearts of these folks. That looks far different from puffed up “TO” Gentiles. “Know the G-d of your fathers and serve Him with a whole heart.” Every sort of Torah knowledge and comprehension, even the most profound, must be expressed in avoda. I.e. the intellectual attainment must bring about an actual refinement and improvement of character traits, and must be translated into a deep-rooted inward attachment (to G-d) – all of which is what the Chassidic lexicon calls”avoda”. @Sojourning: Nice to see you commenting here again. Elsewhere, Zion made a similar comment about how his own form of observance have had a similar, positive impact. In my own home, I’m not going to try and “out-observe” my Jewish wife and daughter. My wife still thinks it’s strange that I choose to keep Leviticus 11 “kosher” (or “kosher style” as the local Chabad Rabbi puts it) but for me, it’s a personal conviction and it’s in keeping with how my wife and daughter eat. If they increase their level of kosher observance, then so will I.
I’m sitting at the kitchen table at my folks home right now. My Dad’s taking a nap and my Mom is listening to gospel music and some Christmas music. It’s not the sort of music I’d choose, but I’m trying to be as flexible as a reed so I can bend. The burden then that the Pharisees had tried to place on the Gentiles was works-based salvation (with the work being circumcision per 15:1). And that’s why James the Just says no greater burden than the fourfold decree (which was four-pronged prohibition of cultic idolatry). And you cited to Gal. 5. This also proves my point that the issue was about works vs. grace. What does Paul say in Gal. 5:4? 4 You who are trying to be justified by the law have been alienated from Christ; you have fallen away from grace. So you’re the one taking things out of context and trying insert your own agenda into Scripture. You’ll have to answer for this one day. 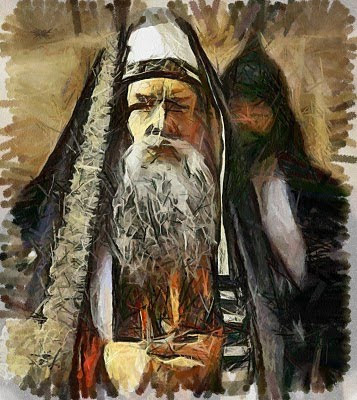 Some men came down from Judea and began teaching the brethren, “Unless you are circumcised according to the custom of Moses, you cannot be saved.” And when Paul and Barnabas had great dissension and debate with them, the brethren determined that Paul and Barnabas and some others of them should go up to Jerusalem to the apostles and elders concerning this issue. I know you know what I think about all this Peter, but for the sake of others who read these comments, I believe the issue at hand was how the Gentile disciples could benefit from the redemptive blessings of the New Covenant (be saved) without being Jewish, either by birth or ritual conversion (circumcision). Jeremiah 31:31 makes it abundantly clear that the New Covenant was made only with the House of Judah and the House of Israel, so how such New Covenant redemption (salvation) was to be applied to non-Jewish disciples of the Master must have represented a great mystery (probably what Paul was talking about in Ephesians 3:6). In Acts 15:10-11, Peter, who had witness Cornelius and his entire household receive the Holy Spirit without having first undergone the proselyte rite, knew that the Gentiles were not required to convert to Judaism and thus take on the full yoke of Torah in order to benefit from the New Covenant blessings (one of which is the indwelling of the Spirit), hence his argument at the legal proceeding supporting Paul’s position. This had nothing to do with anything specific to the Pharisees and their “works based salvation,” especially when you consider that the Messianic movement of that day believed almost exactly the same things as the Pharisees with only the matter of integrating Gentiles into Jewish community as the separation point. For all we know, Paul’s opposition in verses 1 and 2 are Messianic Jews and not non-Messianic Pharisees. As far as Galatians is concerned, the Gentile believers had been convinced by mysterious “interferers” (scholars do not agree on the exact identity of this group) that they had to convert to Judaism in order to benefit from the New Covenant blessings, probably based on Jeremiah 31:31, and Paul was chastising his students for actually believing this argument. Of course, in all likelihood, Galatians was written before the Acts 15 event, and Paul didn’t at that time have the backing of James and the Jerusalem Council. After the Acts 15 ruling, formal halachah was established for the admission of Gentiles into the Messianic movement that did not require them to convert or observe the full set of Torah commandments as if they were Jewish. My interpretation in a nutshell and yes I know, you disagree. @Peter — While it appears that James has already presented most of what I might have replied, I’d like to add just a note or two. For example, since Rav Shaul was addressing gentiles specifically in the Galatians letter, Gal.5:4 is stating that gentiles trying to be justified by means of Torah observance are the ones alienating themselves from the grace they had received by trusting in Rav Yeshua as Messiah. Further, Pharisees were not motivated by anything like the later Christian notion of “salvation” nor by earning brownie points from G-d by means of Torah observance. So your accusation about works-based salvation is entirely irrelevant and rather chimerical. The entire dichotomy of works as opposed to grace is false, as we see in Jam.2:18. Moreover, Acts 15 contains absolutely no hint of blaming Pharisees for anything. On the contrary, in Acts 15:21, the Torah teaching that was offered every Shabbat in synagogues, that apparently was suggested in connection with learning about the four prohibitions in verse 20, would have been presented by Pharisees. So you really ought to reconsider your accusation about taking things out of context to insert some agenda. Reading scriptures in their proper context *is* my agenda. As you say, we disagree on the issue analysis. I base my assessment on this passage on having studied issue analysis at the doctoral level and by noting that the issue is not only stated in 15:1 (which is a salvational issue as stated) but also in the climax of Peter’s argument : “No! We believe it is through the grace of our Lord Jesus that we are saved, just as they are”–which is a direct attack on the Pharisees position in 15:1. So the readers can decide whose analysis is more competent. That’s fine, Peter. People at the “doctoral level” (this is the first time you’ve ever mentioned having earned a doctoral degree) disagree with each other in scholarly circles all the time, so having “studied issue analysis at the doctoral level” doesn’t automatically mean your conclusions are more accurate. Nice try at “pulling rank,” though. Whether or not Pharisees (per se) were involved in the conflict or Messianic believers were essentially like the Pharisees in belief (we know Paul at least really was and continued to be a Pharisee), it would be okay for them to be corrected in a dispute. Even Yeshua corrected Pharisees or tried to teach them (as well as warn people about their wrongs); that’s not rejecting them. Anyway, I do agree it was the gentiles the disagreement was about. As for “salvation” or a saviour, this was also Roman trrmjnokogy, quite prominently. In both ancient and modern times, it’s not exactly unusual for Jews to disagree on matters of halachah. If two groups of Jews who share a more or less common perception of halachah disagree on a matter and cannot resolve it between themselves, they likely would seek out a posek to issue a definitive ruling on the issue. You are correct in saying that it is likely that Paul and his opponents as we encounter them in Acts 15:1-2 probably had more in common than we typically imagine. It may be that only the issue of how Gentiles were to be admitted into the Jewish religious stream of “the Way” was in dispute and that they agreed on most or all other matters of halachah as the Pharisees understood them.